The Program in History of Science at Princeton University trains students to analyze science, medicine, and technology in historical and cultural context. We are a community of scholars including roughly a dozen core and affiliated faculty members and about twenty graduate students, as well as undergraduate concentrators and visiting fellows. In addition to courses for all levels of students, the program organizes annual workshops, a colloquium series, and a convivial weekly gathering on Monday afternoons to discuss research in progress. This Program Seminar forms the heart of our community. History of Science at Princeton remains rooted in our tradition of analyzing the technical and conceptual dimensions of scientific knowledge, whether it is chemistry, psychoanalysis, or evolutionary theory. At the same time, students are encouraged to consider scientific ideas and practices in the widest possible context. The research interests of the active faculty range from Memphis to Moscow, Berlin to Beijing, and include, for example, medieval alchemy, cultural and legal battles over scientific claims, and the development of twentieth-century biomedicine. Through this diversity runs a strong thread of consensus that the best current history of science demands an expansive, integrated approach, one that never loses sight of the global dynamics of science, medicine, and technology. We invite you to browse our faculty and graduate student pages for the most recent accounts of our research and teaching activities. 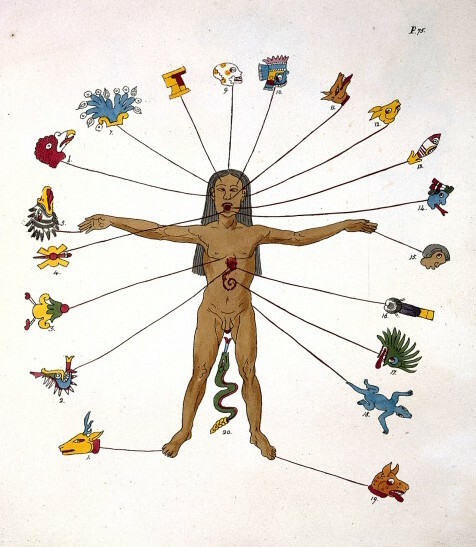 Photo credit: "L0020862" (Aztec zodiac man) by Wellcome Library, London is licensed under CC by 4.0. Image has been cropped.